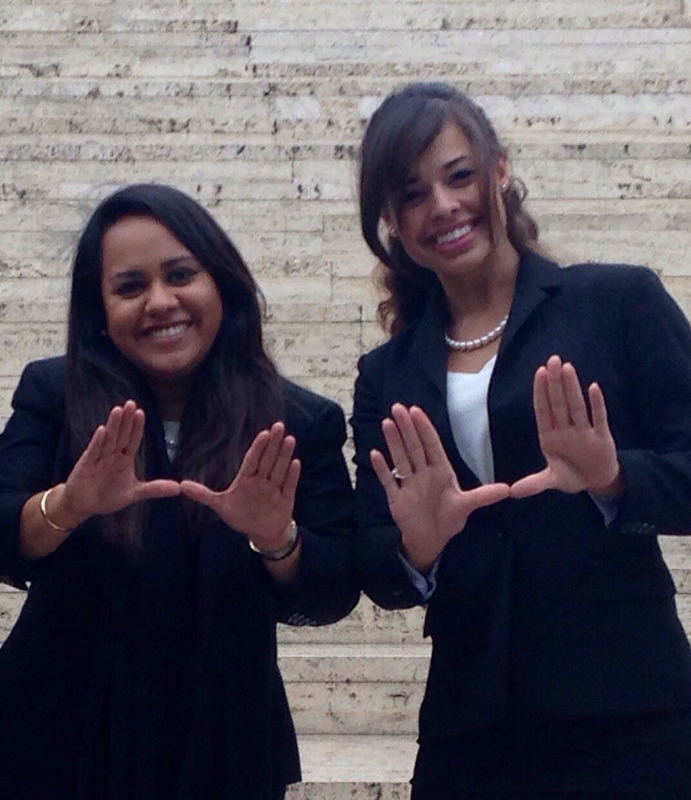 Miami Law’s International Moot Court Program sent a team this past year to the prestigious MOOT Madrid in arbitration and commercial law, a competition which consists of arguments in the spring and an optional follow up phase in the summer. 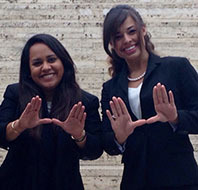 Two participants from Miami Law’s spring team – 3L Jennifer Felipe and Rita Rojas, JD ‘14 – continued to the optional phase and came in second place. During spring 2014, Miami Law’s team achieved success at MOOT Madrid with then 2L Felipe, 3L Rojas in addition to Alexandra Marbán and 2L Bruno DeCamargo advancing to the quarter finals of the oral phase and receiving an honorable mention on their brief. At that time Felipe was also named second best oralist of the moot. But for Felipe and Rojas, the competition did not stop there - they decided to continue and write for the competition’s arbitration award phase, which consisted of writing an international arbitration award based on the case that was argued during 2013-2014. The arbitral award was an opportunity for Felipe and Rojas to put in writing everything they learned through the first written submissions and the oral phase in the spring. As part of the second phase, they had to believe they were the arbitrators and wrote a decision based on a case that involved discussions of various hot topics in arbitration including class action arbitration and double compensation. They wrote their final decision over the summer, even though they were in two different parts of the country. Aside from earning second place in the optional phase of the esteemed competition, Felipe and Rojas were also the only participants from an English-speaking school who competed in this phase. Rojas, who graduated this past May, holds a Venezuelan J.D. equivalent from the Universidad Metropolitana. Currently, she works at Motorola Solutions at their headquarters in Schaumberg, Illinois. The team was coached by Paula Arias, director of the International Moot Court Program and Luis O’Naghten, a partner at Baker & McKenzie, who also teaches in theInternational Arbitration LL.M. Program. “Being awarded second place for something the students decided to take on as a challenge and achieve on their own, is just evidence how far they’ve come -- from knowing nothing to becoming experts on international commercial transaction,” said Arias. Moot Madrid is an international competition in arbitration and commercial law where the research, writing and oral components of the competition are all conducted in Spanish. It is organized by Universidad Carlos III of Madrid and the United Nations Commission of International Trade Law.